Service providers need a dynamic, versatile platform for managing secure, policy-based access and authentication across a wide variety of networks and range of devices. 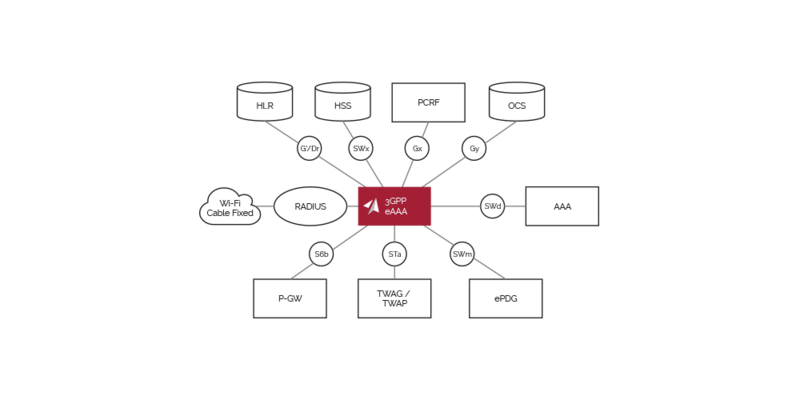 Built on a carrier-class, Linux-based platform, the Accuris 3GPP AAA Server is a 3GPP-compliant, Diameter and RADIUS-capable server that enables Authentication, Authorisation and Accounting (AAA) functions. In particular, it enables full interworking between 3GPP and non-3GPP domains like Wi-Fi.